I have another new guest reviewer tonight, a fine gent named Harry Hosono. 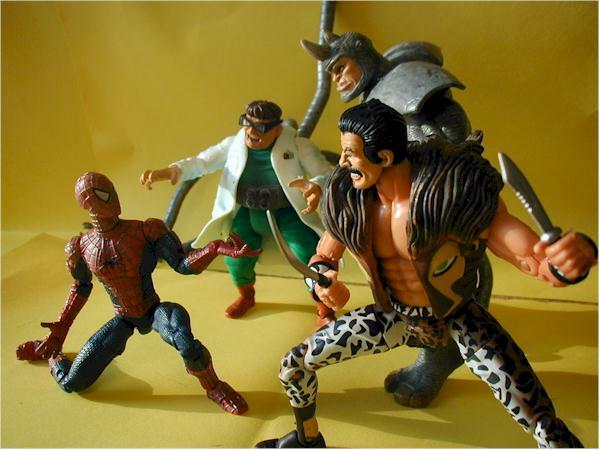 His first review covers the brand spankin' new Kraven figure from the Spider-man series by Toybiz. Take it away! 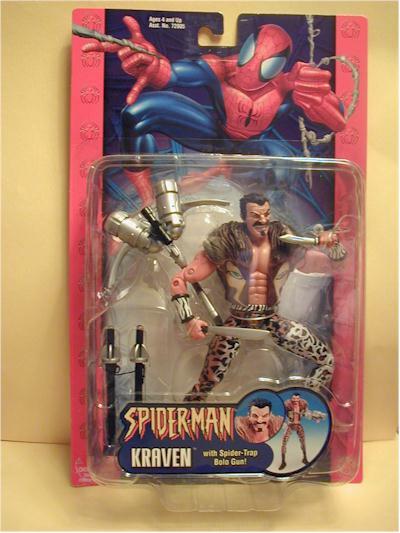 Kraven (or Kraven the Hunter) is a B-list Spider-Man villain. He, along with Daredevil, is one of two non-Spider-Man characters in the most recent ‘Spider-Man Classic’ line. This is just a re-hash of the Marvel Legends Namor figure with a sharp new vest and face sculpt. The bodywork’s perfectly and the face sculpt, a sinister sneer, is great. It’s the kind of sneer Hasbro has been trying to give Anakin Skywalker for a while now; only Toy Biz got it right. Nice colors, clean lines EXCEPT for a) the articulation joint on Kraven’s heavy metal pants aren’t painted and b) his face is a slightly different color then the rest of his body. It’s also glossy compared to the flat paint of the rest of the figure. It’s a base Marvel Legend’s body. I’m not sure exactly how many point’s it has but at least a few more than the new Justice League line. Accessories aren’t super important to me. I like my Green Lantern to have his lantern but I can do without an “ember-essence-space-field”, especially if I’m paying more for it. 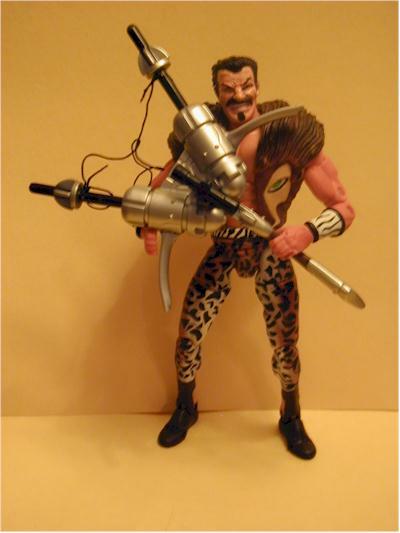 Kraven has his double-barreled harpoon rifle for the kids and a knife and machete for additional display possibilities for Spider-Man otaku. All this is okay but compared to the recent Marvel Legends line the figure might be a bit lacking. Maybe an animal companion or two, some additional weapons or a few plaques with the mounted heads of all the super-hero’s he’s added to his collection. I found this at Target and for $6.89 I got a great addition to my Marvel Legends line. 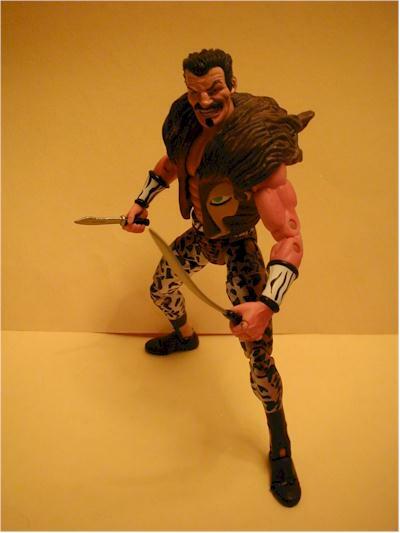 Kraven would have never been released as part of the Marvel Legends line itself so I don’t mind it having a few less accessories as part of the Spider-Man Classic line. Kraven is the chase figure but I encourage patience. You could walk into just about any toy store right now and find ex-chase figures Hobgoblin or Morpheus that I’m sure some people spent way too much money on from eBay or the secondary market. THey are showing up at Targets right now, but will most likely hit Wal-marts and Toys R Us stores soon as well. Figure from the collection of Harry Hosono.